Deputy Head of Iran's Carpet Center for Economic Affairs Mohammad Mehdi Farshchi said Iran exported hand-woven carpets worth $180 million over the first seven months of the current Iranian calendar year (began March 20). Iran exported $290 million hand-woven carpet in 2016, he said, adding the figure rose to $359 million in 2016, rising by 3 percent in terms of weight and and 23 percent in terms of value. 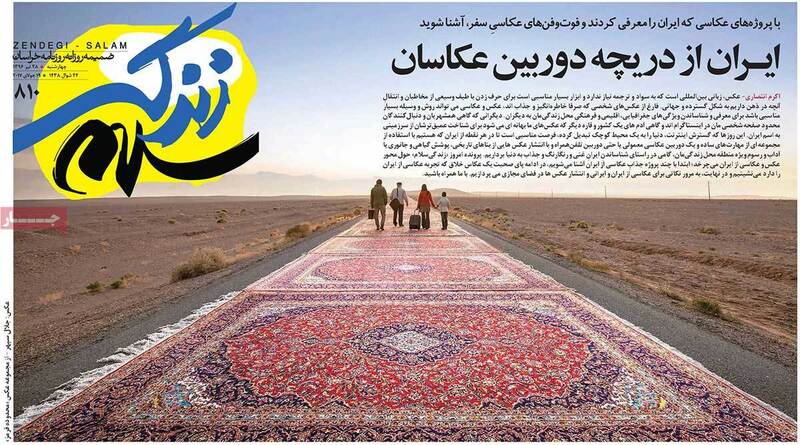 http://www.payvand.com/news/17/nov/Persian-carpet-by-zendegisalam.jpgThe official later added that the traditional product of Iran had a great international reputation asserting "Iranian art has been introduced to many countries through hand-woven carpets. Compared to other industries, production of carpet brings about a high level of value added while it requires less capital." At another part of his remarks, Farshchi enumerated marketing strategies pursued by Iran's Carpet Center including finding place in new foreign markets, facilitating exchange of market information in the value chain of hand-woven carpets, developing trademark of Persian carpets, strengthening and developing domestic market demand, maintaining and developing existing foreign markets and promoting distinctive features of artistic, cultural and historical features of Persian carpets. The country produces about 5 million square meters of carpets annually of which 80 percent are sold in international markets.